The Kenya Experience are delighted to partner with Adharanand Finn, author of Running with the Kenyans, to bring you a unique running camp in Iten. In 2012, the critically acclaimed Running with the Kenyans was named Sports Book of the Year by the Sunday Times, was shortlisted for the William Hill Sports Book of the Year Award, and won Best New Writer at the British Sports Book Awards. We are offering you the opportunity to get inside the story and meet the author and key characters while enjoying a fantastic training camp in Iten, Kenya. The camp is suitable for runners of all levels will feature all the activities and coaching expected from a Kenya Experience camp with some exciting additions exclusive to this camp: meet the author and join him for runs on the same roads and trails you read about in the book, and meet the key characters who will be your guides and training partners throughout the camp. 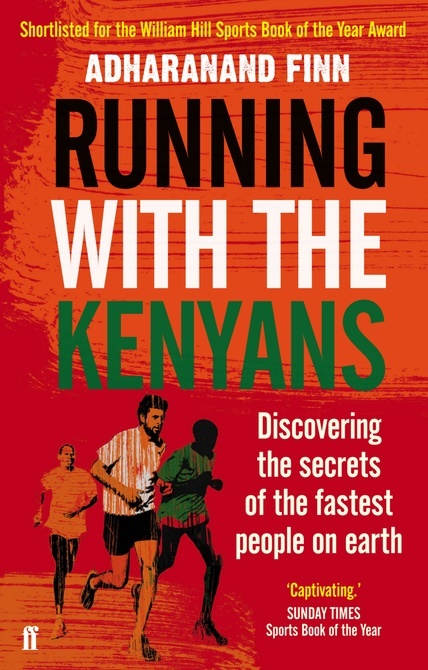 Author of Running with the Kenyans will be a member of the group. You will have the opportunity to talk with him on a casual and formal basis about his experiences in Iten as well as any aspect of the book and Kenyan running more generally. Join Adharanand for his favourite runs in Kenya including (for the brave) the famed Fluorspar 21km uphill run. Godfrey was Adharanand’s main man and ‘go to guy’ while he lived in Kenya and many of the book’s best stories revolve in some way around Godfrey. He will be one of your guides throughout the camp. A coach, a manager and a former international athlete, Godfrey is one of the most popular people on the Kenyan running circuit. You will be sure to learn a great deal from him and as well as enjoying his stories from years of experience among Kenyan runners. Japhet was part of Adharanand’s ‘Iten Town Harriers’ running club. Since the book’s release Japhet has gone on to experience the world of international running. He was supported by Adharanand and readers of the book through crowd-funding initiatives and has raced in Scotland and the USA, most recently finishing 2nd in the 2014 Edinburgh Marathon. Beatrice was also both part of Adharanand’s ‘Iten Town Harriers’ running club who trained together and raced the Lewa Marathon as part of the book’s story. Along with Japeth, she will be among the pacemakers/guide runners throughout the camp, showing you the best routes in Iten and sharing their experiences with you. The Kenya Experience ‘Running With The Kenyans’ camp will feature the same high standard experience of a Kenya Experience camp with additional staff and activities including Guest Host Adharanand Finn. Our usual tour guides and coaching team will be on hand and will be joined by Adharanand, Godfrey, Japhet and Beatrice to give you the best possible camp experience. We will also include a range of activities exclusive to the Running with the Kenyans camp including talks from Adharanand on his time in Iten, insights and coaching from World Championship Gold Medalist Godfrey Kiprotich (HM Team Gold 1994) and an incredible trip to run the famous Fluorspar Hill. This trip is very popular and places are strictly limited, in 2017 and 2018 we sold out and had to turn runners away – please book early to avoid disappointment.